February 2, 2011 – At 16:24 Stations 1 & 4 were dispatched along with Fire Districts 56, 47, and 42 to 675 Red Dale Road (the Blue Mountain Elementary East) for an automatic fire alarm. Just as all units began to respond SCCC advised of a false activation and all units were placed available. February 1, 2011 – At 17:49 the Schuylkill Haven Fire Department was dispatched to 31 Fairview Avenue in the borough for a possible house fire. As units began to respond SCCC advised of a possible mattress fire. Crews quickly arrived on scene and removed the smoldering mattress from the residence. All Schuylkill Haven units were placed clear and available by Chief 720. January 18, 2011 – At 16:05 Stations 1,2 & 4 were dispatched to 301 University Drive ( Penn State Schuylkill Campus)-NittanyIII for an automatic fire alarm. Crews arrived on scene and met PD who advised of burnt food on the stove. 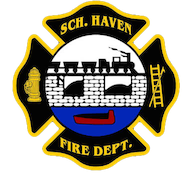 All Schuylkill Haven units were placed available by Chief 720 (Peel). January 28, 2011 – At 10:43 Stations 1 & 4 were dispatched along with fire districts 56, 42, 47, and Pottsville R.I.T. to 340 South Liberty Street, Orwigsburg borough for a possible house fire. Just as all units began to respond, SCCC advised that the homeowner had knocked down a fire in the kitchen. The call was then held to Engine 56-10 who ventilated the structure and checked for fire extension. January 26, 2011 – At 22:58 Station 2 was requested by Chief 720 to respond to 19 East Market street for a fuel oil spill in a residence. Utility 734 arrived on scene and found that the homeowner had fuel delivered earlier in the day and it had over flowed out of the tank onto the basement floor. Crews applied oil-dry absorbent to the spill area and helped ventilate the basement. Information from Schuylkillhose.com. January 26, 2011 -At 14:57 Stations 1 & 2 were dispatched to the area of Route 61 and Seven Stars Road for a possible vehicle accident with unknown injuries. Chief 720 (Peel) and all units searched the area and found nothing. All units were placed clear and available. January 25, 2011 – MVA 2nd Call To District! As Stations 2 & 4 were on the scene of the previous MVA located on Berne Drive, SCCC advised of another MVA in the borough and dispatched Stations 1 & 2. PD arrived on scene and determined that fire was not needed and all units were placed available. January 25, 2011 – At 21:27 Stations 2 & 4 were dispatched to the area of Meadow Drive and Hickory Lane, South Manheim Township for a vehicle accident with no injuries. Crews arrived on scene and were met with a single car accident into a pole. Fire personnel assisted with traffic control for approximately 2 hours. January 25, 2011 – At 02:30 Stations 1 & 4 were dispatched along with Fire Districts 34, 47, and 39 to 1235 Summer Hill Road (St. Paul’s UCC Church) for a possible church fire. Just as most units were arriving on scene the problem was found to be with a steam pipe. Ladder 725 and Engine 737 were canceled en-route. To contact us please visit our contact page.